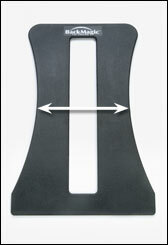 The BackMagic is designed to make stretching your back easy, safe, affordable and enjoyable.  Simply read over the information provided on this web site to see how you can benefit from it's many unique features. The BackMagic has won the support of health professionals, back problem sufferers and people with strong, healthy backs. It is being used to help relieve chronic back pain, correct postural imbalances, restore the natural curvature of the back and improve flexibility in shoulder and back muscles. Unlike many other stretching devices available, the BackMagic is adjustable, lightweight, compact and completely portable! 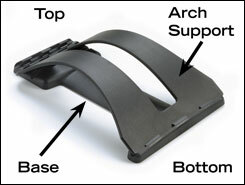 Base - Supports the arch. Provides least amount of stretch for beginners. Measures 2-3/4” from the floor. Provides greater stretch for advanced users. Measures 3-1/2” in height from the floor. Provides maximum stretch for advanced users. Measures 4-1/4” in height from the floor. 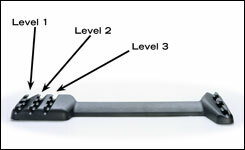 NOTE: Levels 2 and 3 should only be used after you are completely comfortable with Level 1. For many individuals it is not necessary to advance beyond the Level 1 arch adjustment. Support Arch – Supports the back. Cradle – Designed for spinal comfort. Top – The narrow end should always be positioned toward your head. Bottom – The wide end should always be positioned toward your buttocks. You don’t need to be a professional athlete or have a degree in kinesiology to know..